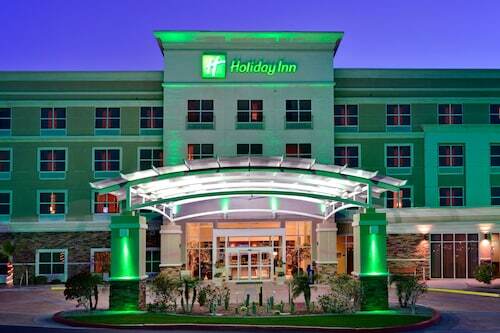 Thu., 12 Dec. - Thu., 2 Jan.
See all 51 properties in Yuma Intl. Situated in Yuma, this hotel is within 6 mi (10 km) of Marine Corp Air Station Yuma, Arizona Historical Society Sanguinetti House Museum, and Sanquinetti House Museum. Yuma Crossing State Heritage Area and Yuma Territorial Prison State Historic Park are also within 6 mi (10 km). Located in the heart of Yuma, this hotel is within 3 mi (5 km) of Yuma Territorial Prison State Historic Park, Arizona Historical Society Sanguinetti House Museum, and Sanquinetti House Museum. Yuma Crossing State Heritage Area and Marine Corp Air Station Yuma are also within 6 mi (10 km). 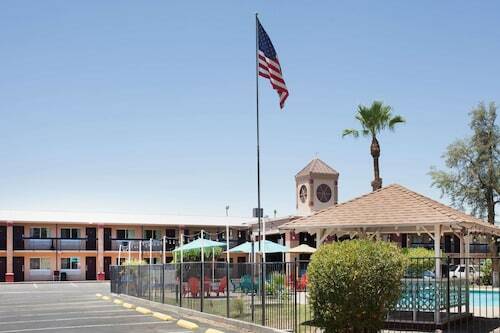 Situated near the airport, this motel is 2.8 mi (4.4 km) from Marine Corp Air Station Yuma and within 6 mi (10 km) of Yuma Territorial Prison State Historic Park and Arizona Historical Society Sanguinetti House Museum. Sanquinetti House Museum and Yuma Crossing State Heritage Area are also within 6 mi (10 km). Situated in a rural location, this hotel is within 3 mi (5 km) of Yuma Territorial Prison State Historic Park, Arizona Historical Society Sanguinetti House Museum, and Sanquinetti House Museum. Yuma Crossing State Heritage Area and Marine Corp Air Station Yuma are also within 6 mi (10 km). 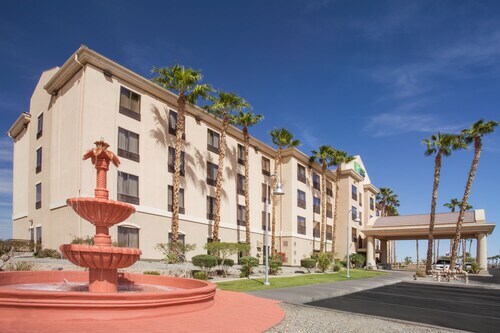 Located in the heart of Yuma, this hotel is 2.4 mi (3.9 km) from Marine Corp Air Station Yuma and within 6 mi (10 km) of Yuma Territorial Prison State Historic Park and Arizona Historical Society Sanguinetti House Museum. Sanquinetti House Museum and Yuma Crossing State Heritage Area are also within 6 mi (10 km). Situated near the airport, this hotel is within 3 mi (5 km) of Yuma Territorial Prison State Historic Park, Arizona Historical Society Sanguinetti House Museum, and Sanquinetti House Museum. Yuma Crossing State Heritage Area and Marine Corp Air Station Yuma are also within 6 mi (10 km). Situated in Yuma, this motel is within 3 mi (5 km) of Yuma Territorial Prison State Historic Park, Arizona Historical Society Sanguinetti House Museum, and Sanquinetti House Museum. Yuma Crossing State Heritage Area is 3.1 mi (5 km) away. 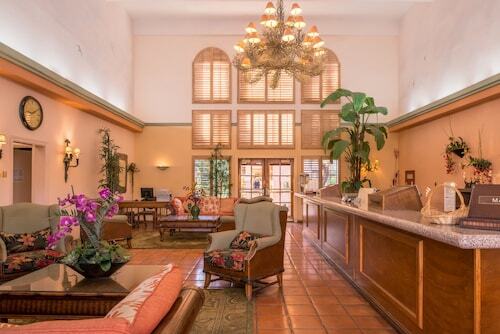 Situated in Yuma, this hotel is within 6 mi (10 km) of Arizona Historical Society Sanguinetti House Museum, Sanquinetti House Museum, and Yuma Crossing State Heritage Area. Marine Corp Air Station Yuma and Yuma Territorial Prison State Historic Park are also within 6 mi (10 km). MXL-General Rodolfo Sanchez Taboada Intl. Answer : Yes, you can switch your departure or arrival date. If you would like to save some funds in doing so, the lowest-cost day to fly in April is Friday. You might think you're missing out leaving a day earlier, but we think of it as you just adding those savings towards a future trip. A dollar saved is a holiday earned. Question : Which airline has the least delays from Vancouver to Yuma? Answer : YVR to YUM currently scores 0 out of a possible 5 stars in promptness. This score combines both the number of delayed flights and total delay minutes. With 0 stars, you should feel rather worried about getting to Yuma on time. Answer : The cheapest day to fly from Vancouver to Yuma is on Friday. If you would like to save a bit of money on your next trip look for flights on Friday.